Last year, ACTS Domestic Violence Services initiated the Lethality Assessment Program (LAP) to help train Prince William County officers how to respond to situations involving domestic violence. The LAP is a multi-pronged intervention program that consists of an evidence-based tool called the Lethality Screen that helps law enforcement more clearly assess a victim’s risk of intimate partner homicide, and an accompanying referral process that proactively connects victims to community-based domestic violence services. The Screen is adapted from Dr. Campbell’s Danger Assessment, a screening instrument used by clinicians and counselors to assess a victim’s risk of being killed by an intimate partner (Campbell, 1986). The LAP aims to translate clinical research on lethality predictors into practical tools that will help first responders respond more effectively to dangerous and potentially lethal incidents of domestic violence. Domestic violence has been found to constitute the single largest category of police calls in some cities. When police officers respond, they know the situation can be volatile for both them and the abuser’s victim. That’s because the killer in almost one third of female homicides is an intimate partner, and 22 percent of officer "line of duty" deaths in recent years occurred while responding to domestic violence calls. “What the [police death] stats don’t really capture is all the law enforcement officers that are killed in the line of duty on traffic stops, serving protection orders or serving warrants [to domestic violence offenders],” says Michael P. LaRiviere, a police officer who does domestic violence training for national organizations, including the National Sheriffs’ Association. This explosive combination has led 95 percent of law enforcement agencies to develop policies that officers are asked to follow when responding to domestic violence calls, and 85 percent also require officers to participate in specialized domestic violence training. Nearly half of the departments now have separate units devoted to domestic violence cases. While policies differ from city to city, it can be helpful for survivors to understand the common threads for how police are trained to respond. The first concept is to treat domestic violence calls as a high priority or a life-threatening situation. Because of this perspective, and importantly for survivors to know, many departments will continue to respond even if the victim cancels the request. 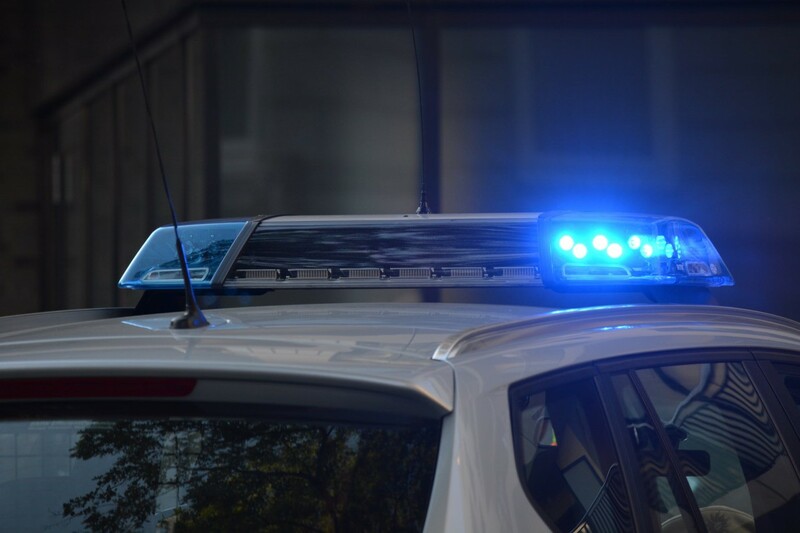 Next is to approach carefully, meaning officers are trained to apply discretion when using emergency lights and sirens and to observe and listen before announcing their presence. This can improve everyone’s safety and also expose important evidence, such as an active confrontation. Sending two officers is a best practice as well. On occasion, balancing the need to urgently respond and having two officers arriving on scene simultaneously can be a challenge, especially in areas where units are positioned far apart. Dispatching two officers can make quickly juggling a multitude of tasks more manageable, such as checking arrest warrants and prior history, and identifying and separating the victim and perpetrator. Once on scene, keeping the abuser and victim out of sight and hearing of each other can increase the odds of each person speaking candidly without the influence of the other. It also helps officers determine if firearms are on the premises and to remove them; 79 percent of cases in a study of 358 police law enforcement agencies by the Police Executive Research Forum involved finding and confiscating firearms. Collecting evidence is another priority. Many agencies require officers to take pictures of the victim’s injuries and the crime scene; interview and obtain written, audio or video statements from the parties, neighbors or witnesses; and create detailed occurrence reports whether or not an arrest is made. Nearly 9 in 10 agencies record incidents by location and 7 in 10 record them by individual to help officers of future investigations understand the history, according to the same study. Conducting a risk assessment to determine the level of danger for the victim, and whether a safety plan should be encouraged, is required by 42 percent of agencies. Of course, if you’re experiencing violence, a safety plan is always something to consider developing, regardless. Some agencies train officers to provide victims with community resources and the protocol for some includes making follow up visits. Many agencies require officers to make an arrest under certain conditions, such as evidence of an assault, violation of a protection order and other offenses where physical evidence exists or that an officer witnessed. This is known as a mandatory arrest policy and it can be valuable for a survivor to know in advance whether local authorities use this practice. Debate over mandatory arrest exists. Some say it gives the victim a break from the violence and time to consult with advocates. Others point out the all-too-common reality of domestic violence: where seemingly positive steps to address the violence can backfire, in this instance the possibility of an arrest leading to escalated violence at another time. “It’s normal for a victim to be fearful about telling us what’s really going on,” LaRiviere says. In his jurisdiction, victims’ advocates help officers to understand and address the barriers to reporting the extent of domestic abuse. However, if a survivor isn’t ready to speak up, and in the absence of witnesses or clear physical evidence, officers might leave without making an arrest.